They Shoot Oscar Prognosticators, Don't They? The Oscar race officially entered its second phase this week when several critics groups began handing out their prizes for the top films of the year. But no immediate favorite or consensus emerged among the various contenders, with movies from Call Me By Your Name to Lady Bird to even The Post all getting top honors. Nor did the acting races, for the most part, seem ready to be called just yet. More will happen in the next two weeks when Globe and SAG voters reveal their nominations but for now, let’s take a look at what the early critics’ awards mean. Coming out of Toronto, it was natural to wonder whether People’s Choice winner Three Billboards Outside Ebbing, Missouri was the film to beat. And while Martin McDonough’s dark humor satire of American life has continued to wow audiences since its theatrical release, its fate at the Academy Awards is now a bit more uncertain. Since then, however, Three Billboards has seen little action awards-wise. Early in the week, the Gotham Independent Spirit Awards named the gay love story by Italian director Luca Dugadino Call Me By Your Name (or CMBYN for short) their favorite film. 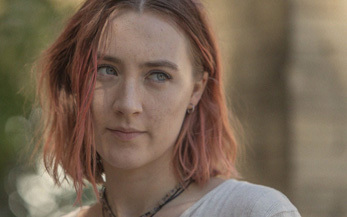 Later in the week the sort of non-predictive National Board of Review went gaga for Steven Spielberg’s new movie The Post, giving that their top prize, while the New York Film Critics Circle went for a different coming of age story, Greta Gerwig’s Lady Bird. And on Sunday, the Los Angeles Film Critics Association spoke up and also rewarded CMBYN the best movie. LAFCA always has a runner-up, but this year they gave it to the indie film The Florida Project. Many people will dutifully point out that critics are not Oscars voters and that is all well and true, but the tastes of the two have started to converge in the last few years as the Academy has pushed to make their membership more diverse and younger. Consider that LAFCA predicted Best Picture the last two years in a row, after only guessing once in the last ten, the year of The Hurt Locker. Could an LGBT-themed movie really win Best Picture two years in a row? Consider also that no movie released at Sundance has ever made it all the way to the top at the Oscars. So while CMBYN is probably now at least as likely to win as Three Billboards, it truly seems like it is still anybody’s game. Check out our debut Best Picture power rankings: here.